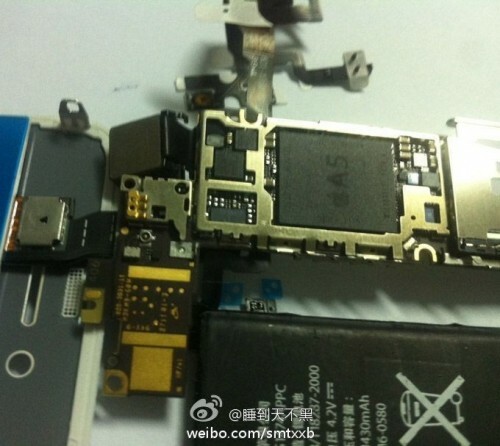 New photos of a partially assembled iPhone 4S have appeared on Chinese site Weibo, which clearly show an identical form factor to the current iPhone 4. 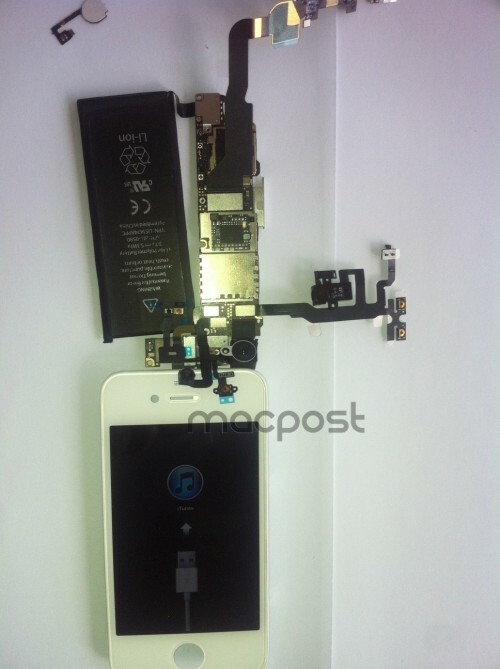 Macpost shared the the images of the internals today, which reveal an A5 processor and 3.7V battery offering up 1430 mAh of charge, a slight increase on the 1420 mAh of maximum charge available in the current iPhone 4. The A5 system-on-a-chip is expected to be at the heart of the new iPhone 5, and so its inclusion in the mid-level iPhone 4S is a significant finding. The iPhone 5 has been widely rumored to feature a thinner, redesigned build with a larger screen and an 8MP camera. A recent analyst report has confirmed these as the likely specifications, although official confirmation from Apple is still forthcoming.